There was a real David v Goliath draw in this week’s Nedbank Cup Round of 16 draws, and one Kaizer Chiefs star has a wish that he hopes to fulfil. Chiefs – the biggest team left in the competition following the exit of Orlando Pirates and Mamelodi Sundowns – were pitted against the only ABC Motsepe League side in the draw, The Magic FC, in the next round of the competition, and will travel down to Cape Town in mid-February. 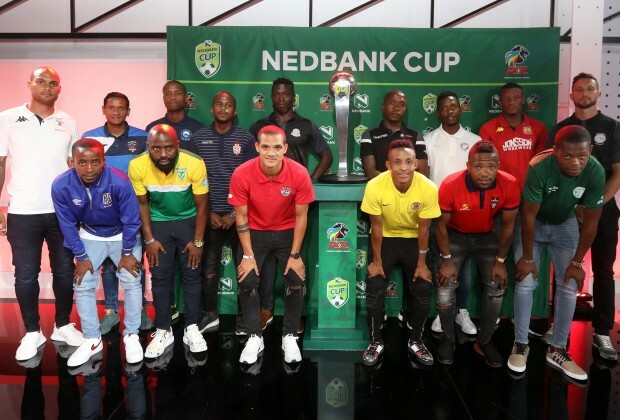 Of the seven other fixtures, only three will see the Absa Premiership pitted against the National First Division, and the fact that the biggest club faces the smallest embodies what the Nedbank Cup stands for. Hendrick Ekstein, who has enjoyed a rise in form of late, sees this year as the perfect way for Chiefs to end a trophy drought that is threatening to go on for four whole seasons. The club’s official website quoted him as saying, “You can’t decide in a draw who you want to play… However, we welcome the outcome. We will prepare accordingly to try to advance to the quarter-finals. Chiefs beat Tornado FC after extra-time in their Round of 32 game, while the Magic beat Maccabi FC on penalties earlier this week. @7up dawana a big yellow and blue humble pie will be served in a gold and black platter.